Please visit our Open House at 1481 CORY RD in White Rock. "JUST LISTED" You must see this lovely, tastefully & extensively renovated home in one of the prettiest, most popular areas of White Rock. This adorable one level rancher/bungalow is nestled on a sun-filled, tranquil and quiet street. The Owner is anavid gardener and it shows! Updated kitchen, new bathroom, 3/4" oak hardwood floors, all appliances 3 yrs old, newer windows, doors, light fixtures and two new sundecks. Roof replaced in 2007 with remaining 25 yr warranty. There is nothing left to do buy enjoy this wonderful home. You can walk to White Rock Beach too! Possible to add 2nd bathroom, 3rd bedroom or another level/floor. Finance Minister Jim Flaherty recently unveiled new mortgage rules aimed at stopping housing speculators and ensuring homebuyers can adequately handle their debts when interest rates inevitably rise. Mr. Flaherty stressed that <?xml:namespace prefix = st1 ns = "urn:schemas-microsoft-com:office:smarttags" />Canada's real estate market is healthy, and that the new rules, which take effect April 19th, would stop “negative trends” from development. "There's no clear evidence of a housing bubble, but we're taking proactive, prudent and cautious steps today to help prevent one. Our government is acting to help prevent Canadian households from getting overextended, and acting to help prevent some lenders from facilitating it," commented Minister Flaherty. "The underlying message is that Canadians should be prudent in the obligations they take on because we can all expect that mortgage interest rates will rise over time," Flaherty added. 1. Borrowers must now qualify based on a five-year fixed rate even if they choose a mortgage with a lower interest rate and shorter term. The government’s rationale for this change is that it will help borrowers prepare for higher rates, although it may squeeze the purchasing power of home buyers. It remains unclear whether borrowers must qualify at the five-year posted rate or the five-year discounted rate. 2. The maximum amount Canadians can withdraw in refinancing their mortgages will be reduced to 90% of the value of their homes, instead of 95%. This change will help ensure home ownership is a more effective way to save. The impact of this change is expected to be minimal as relatively few homeowners withdraw equity from their homes to this extent. 3. A minimum down payment of 20% will be needed for government-backed mortgage insurance on non-owner-occupied properties “purchased for speculation,” which realistically means rental properties. While this measure is intended to hamper the speculative buying of properties by reducing the leverage of buyers, it will also impact those buying real estate for general investment purposes. How will these changes affect the Canadian real estate market? For most consumers, the changes are unlikely to make it harder to get a mortgage but it could reduce the size of the mortgage an individual consumer can negotiate with a lender. And they might have to look at buying slightly less expensive properties. People buying real estate for investment purposes including those looking for rental properties may find it harder to get into the market as they have to shell out more money form their own savings. Undoubtedly there will be a rush of mortgage applications to beat the April 19th deadline. However it is expected some lenders will start to implement these guidelines before April 19th. 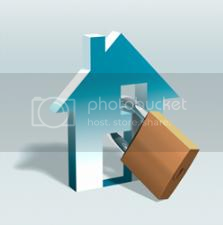 Some volatility is expected in the housing market in the short term as home buyers rush to beat the April 19th date. After that, the activity will likely fade because so many buyers moved up their purchases. This could end up softening the sharp year-over-year price increases that have been characteristic in many cities recently. The economic implications of this rule change are unlikely to be severe, and we expect the housing market to slow its ascent without crashing down.